The first step to a tertiary education in Singapore is to pass the Singapore-Cambridge General Certificate of Education Ordinary Level Examination, better known as GCE ‘O’ Level Examination. Awarded by the Ministry of Education, the certification allows students to apply for admission to polytechnics in Singapore as well as overseas institutions. At TMC Academy, we offer preparatory courses for GCE ‘O’ Level under TMC College. During the course of 18 to 30 months, students will be taught subjects tested in the examination, which includes: English Language, Chinese/Malay Language, Mathematics, Additional Mathematics, Physics, Principles of Accounts and Combined Humanities. In a typical class size of 27 students, majority of them come from countries such as China, Indonesia and Myanmar, aged between 15 to 17 years old. 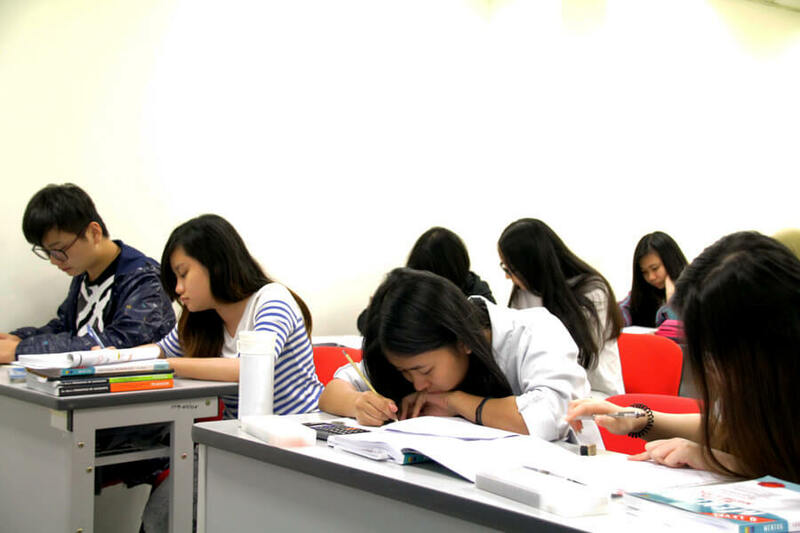 As a private school in Singapore, TMC College also helps local private candidates who wish to sit for the GCE ‘O’ Level Examinations to prepare and enrol for the exam. Our international students, who come from different cultures and studies background, can take a longer time to adjust. 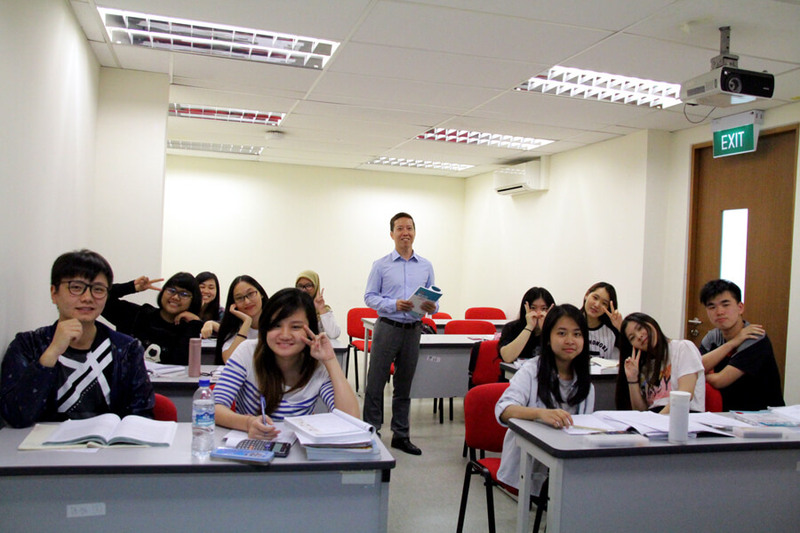 Mr Alex Lim, Senior Teacher at TMC College who has been teaching Additional Mathematics and English for 2 years relates, “The teachers at TMC College are dedicated, committed and always willing to stay back after school hours to help students in their studies. In class, they will present the lessons in a clear and innovative manner to draw the attention of the students. But above all, they have a heart for students, always looking out for their well-being and future.” As a Ministry of Education (MOE) trained teacher, Mr Alex has prior teaching and mentoring experience in the financial industry and Singapore schools. Apart from learning in the classroom, students are taken out for experiential learning field trips. These outdoor excursions allow both international and local students to immerse in local culture and apply what they have learnt in practical situations. For example, a recent trip to Little India allowed Combined Humanities students to see Tourism in a real-world context and served as an introduction to Geographical investigation skills where they had to attempt collection of primary data through simple experiments and interviews. Students also get the chance to improve their English oral and listening skills through the interviews and conversations with the public, classmates and teachers. TMC College’s Preparatory Courses for the GCE ‘O’ Level also include an elective module that prepares students for another similar examination, Cambridge International General Certificate of Secondary Education (IGSCE). IGSCE is one of the world’s most popular international qualification for 14 to 16 year olds. It is recognised by leading universities and employers worldwide, and is an international passport to progression and success. Students who wish to study outside Singapore after ‘O’ Level may choose to take the elective module, IGSCE Preparation. Whether you are an international student looking to study in Singapore or a local who is looking for a private ‘O’ Level school in Singapore, TMC College is with you every step of the way, starting with a strong foundation in the GCE ‘O’ Level Course and onwards to a tertiary education with TMC Academy.